Are you still inundated with cardboard boxes from Christmas? Or did you use the break to do a major clean out of the whole house? Get rid of the bulky unused items around your home at the City of Wanneroo’s Community Waste Drop Off event over the weekend of 2 - 3 February. Residents will be able to get rid of a range of different items that will be re-used or recycled, including tyres, e-waste, clothing and bulk cardboard. Mayor Tracey Roberts said this was another way the City of Wanneroo was creating waste management solutions. “Last year we collected 1000 tyres, 7.7 tonnes of e-waste, and more than 100 car boots full of clothing,” Mayor Roberts said. “That is an incredible amount of waste that was saved from going to landfill. The Community Waste Drop Off Weekend demonstrates the City’s commitment to sustainable waste management by reducing waste going to landfill. For further details visit wanneroo.wa.gov.au, and see specific details on acceptable items below. A maximum of four tyres per household. Residents must show their driver’s licence or rates notice to drop off tyres. 4x4, motorcycle and passenger vehicle tyres ONLY. No commercial tyres. Several registered charity organisations will be on site to collect your unwanted clothing. Items accepted: clothing, textiles, manchester, bedding, towels and shoes. These products contain precious resources and sometimes hazardous materials that cannot be recovered through your kerbside recycling or domestic waste bins. Items collected will be disassembled, and components made of steel, copper, aluminium and plastic recycled back into new products. Items accepted: desktop computers and laptops, iPods and mobile phones, hard drives, CDs and floppy drives (computer only), computer server units and UPS systems, inkjet and laserjet printers, LCD, Plasma and CRT monitors and televisions, printers, scanners, copiers, modems and network devices, keyboards, mice and joysticks, fax machines, circuit boards, electronic cables and wiring. 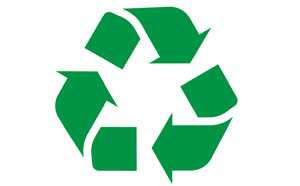 Cardboard can be dropped off for recycling.